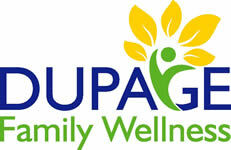 This nutrition blog and classes have moved to DuPage Family Wellness. Same doctor, Jamie Tripp Thomure DC, same location in Warrenville, new website. Please visit our new home! The blog comes out every week! Not only that, as these creep up, your energy level, confidence, and strength go down. Before you know it, you're visiting the doctor and taking medicine. "Beat the Creep" is here to help you take charge of your health. It's not just a weight loss program, its a health improvement program. It took a long time to put that weight on, so we're going to take if off gradually too. This is not a quick fix. It is a plan to help you live a long healthy life - one that you can actively share with your friends and family. Ready to getstarted? Sign Up For Our FREE Newsletter above.